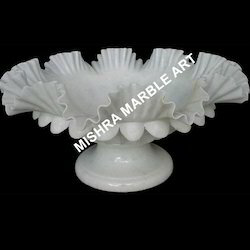 Prominent & Leading Exporter from Jaipur, we offer marble pot height, marble white pot, marble decorative pot, marble pot, white marble pot with bowl and marble pots with bowl. 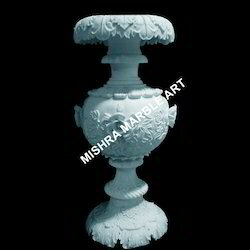 Clients can avail from us a classic looking marble flower pot with intricate carvings. 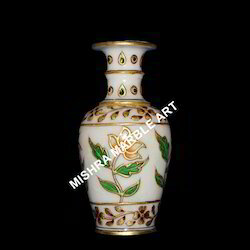 This pot has beautiful floral motifs, painted using vibrant colors along with golden mosaic work. The striking appearance of this pot makes it an ideal masterpiece of the interiors. This 6 inches marble pot also has blended colored tiles on its body that would add a touch of brilliance to the interiors. 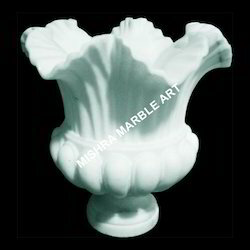 We are manufacturers and suppliers of a superior range of Marble White Pot. These are extensively used for indoor decoration. We offer our range different shapes and sizes, which can be personalized as per the specification given by our clients. Our range is highly appreciated by our valued clients for the smooth finishing and strength features. 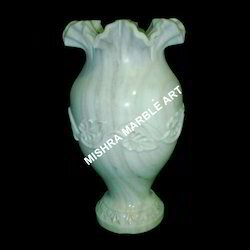 Marble decorative pot are in huge demand in the national and international market due to their elegance. 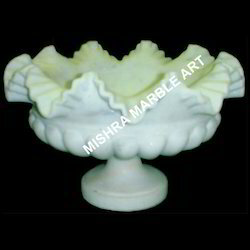 We offer a wide range of marble pots that are available in various shapes & sizes. These pots have beautiful designs and painted motifs with embellishments. 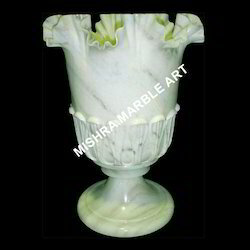 The marble pots we supply are apt for indoor decoration. Avail from us a wide range of artistically designed white marble pot for decorating interiors and exteriors. 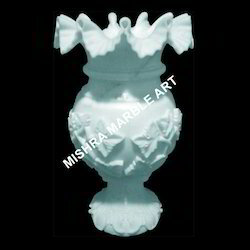 These pots are crafted by our sculptors and artisans using high quality white marble. 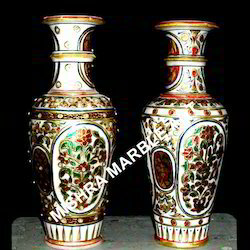 The designs on these marble pots are elaborate and eye appealing. Deploying these marble pots would add a touch of classiness to a space. 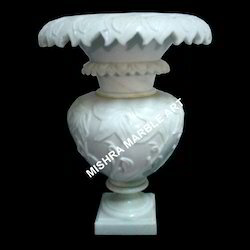 We also provide a wide range of White Marble Pot With Bowl to our clients, which is available in different styles and sizes. These are carved out using optimum quality white marbles. These bowls have smooth edges and a glossy polish that enhance their beauty. Furthermore, we are capable of meeting the bulk demand of our clients within a committed time frame. 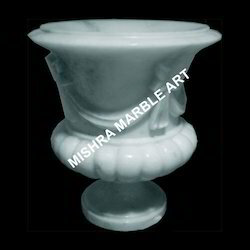 We are backed by advanced manufacturing unit that helps us to offer best grade Marble Pot to our clients. 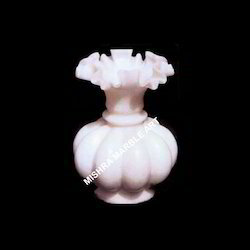 Our sculptors and artisans uses best quality white marble to process our range and ensure that it is defect free. On these pots, there are elaborate and eye appealing. Moreover, our esteemed clients can avail customized solution at industry leading prices. Our organization specializes in offering a wide collection of Marble Pots With Bowl to our clients at industry leading prices. These are carved skillfully by our sculptors and craftsmen and meet the industry defined parameters. We also offer our range in different designs, styles and sizes that meet the individual requirement of our clients. Our range is ideal for decorating the interiors and exteriors. Looking for Marble Pot ?